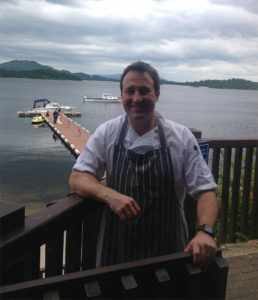 The start of an exciting Food & Dining phase is taking place at The Lodge & Inn on Loch Lomond, revitalised with the addition of our Food & Beverage Director Johnny Aitken, our new mantra is to embrace the shimmering aspic of tradition whilst giving the classics just enough back spin to turn heads as they come out of the kitchen. With an unswerving commitment to quality and light of touch we combine ingredients unleashing a freight train of flavours!! Book your table today to sample the fantastic Scottish produce now on offer and we can guarantee the best view of stunning Loch Lomond to savour whilst you dine. 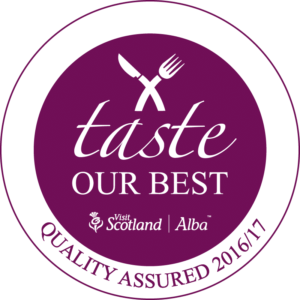 We are delighted to announce that Colquhoun's Restaurant has achieved the VisitScotland’s – Taste Our Best accreditation, which recognises businesses that provide and promote quality Scottish food & drink. Our Menu highlights all the Scottish produce that we endeavour to use as part of our dining experience. 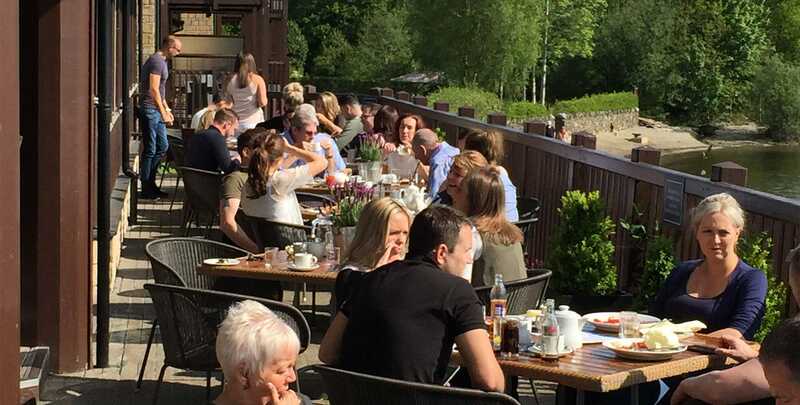 Sit back and take in our fabulous waterfront restaurant and it's panoramic views of the Loch and Ben Lomond while the wonderful relaxed buzz of family and friends enjoying a meal creates a lively, warm ambience around one of the Loch's best Loch Lomond restaurants. Our menu is inspired by the fantastic local produce we have available from Scotland's larder! So join us soon for lunch, dinner or a light meal/snack by the Loch. 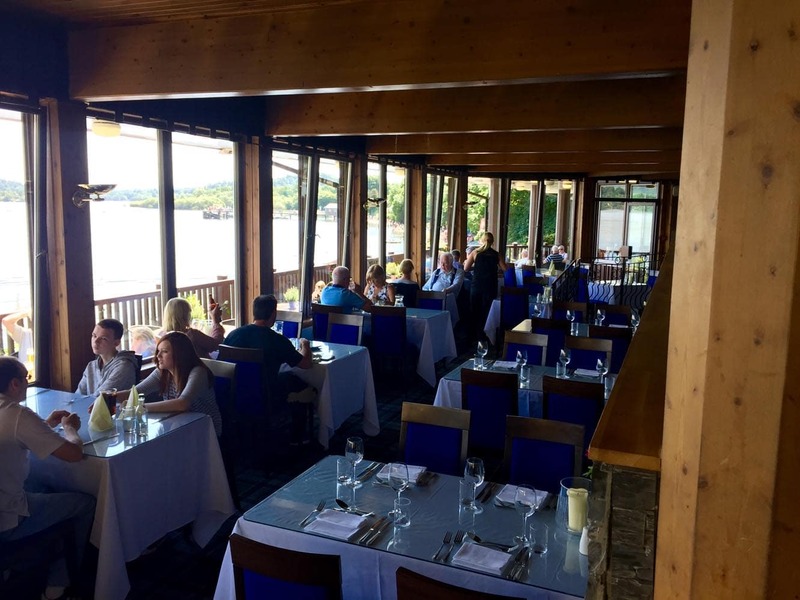 The stylish Loch View Restaurant at the Lodge on Loch Lomond offers guests a great option for dining when staying at the Lodge whilst still enjoying the wonderful panoramic views over Loch Lomond. Before your meal, join us in the Bar for our renowned cocktails, or try our selection of whisky, cognacs, liqueurs, beers and wines from around Scotland and the world.Colquhoun's offers an extensive menu created with the freshest ingredients, friends and family can meet to grab a bite, enjoy the view of Loch Lomond and Ben Lomond, or just enjoy a drink together in a relaxed atmosphere. Colquhoun's promotes dining excellence offering classic cuisine using the best of local Scottish produce. Relax and enjoy the tranquil views of Loch Lomond and the surrounding mountains.Colquhoun's provides honest lodge style service in a relaxed environment, whilst delivering wholesome, comfort food that you simply can’t resist. 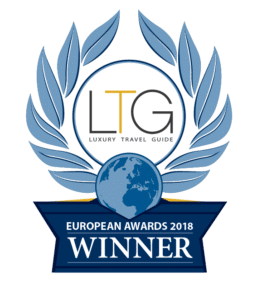 Traditional confit of gressingham duck leg, delicious chargrilled Scottish ribeye steak, mouthwatering parfait of chicken, saddle of Scottish Venison, hand tossed gourmet salads and mouth watering desserts are on offer. Visit us for your morning coffee before enjoying a day of activities on Loch Lomond, a casual lunch, afternoon tea or our delicious selection of dining delicacies. Whatever your style, you mood and your taste, you will discover much to delight when dining at Colquhoun's - a premiere Loch Lomond Restaurant. Come and Experience One of the Best Loch Lomond Restaurants. Book now by phone 01436 860 201 or email res@loch-lomond.co.uk. If you wish to book a table at Colquhoun’s Waterfront Restaurant, please use the Book A Table form.